Cafe Hoffy: Denim Bag - "How to Make a Cute Denim Bag"
I found this adorable bag in an old Woman's Day Magazine, circa 2003 and thought it was so cute... 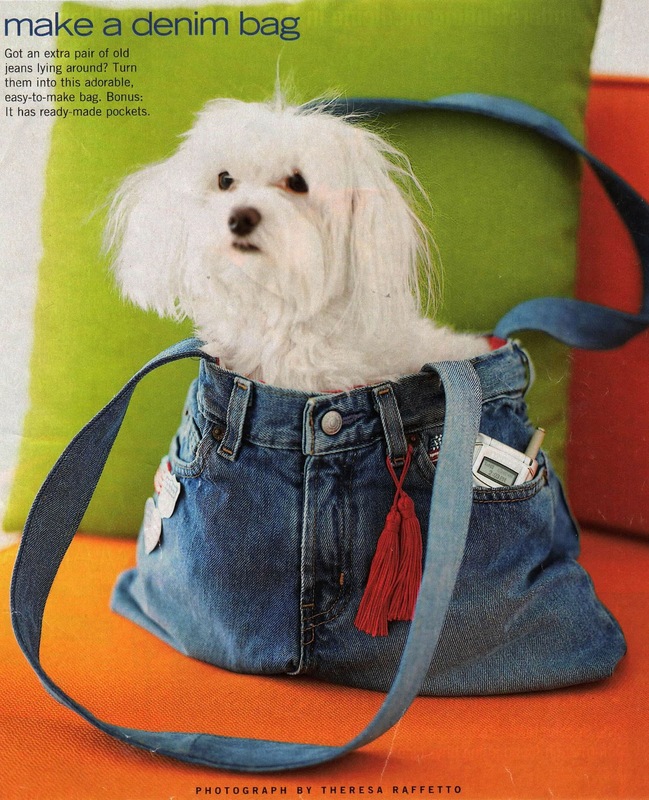 Here's a video showing you how to make denim purses from old jeans. Instead of throwing those old jeans away, recycle them. Give them a second life... have fun and be creative!! !